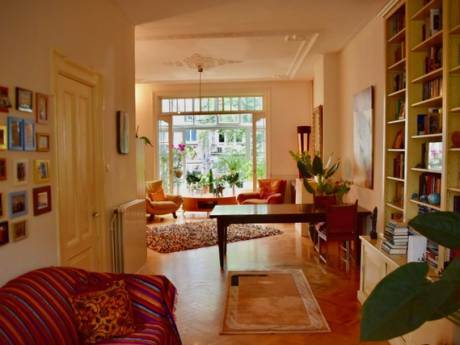 Lovely, comfortable, spacious, sunny apartment in the middle of the old centre of Amsterdam. A bright, sunny, spacious and comfortable apartment of 70 square meters. One bedroom with double bed. Living room with one comfortable sleepingcouch (of course enough bed linnens etc), regular couch and enough seating comfort, televion, dvd player, stereo, broadband internet connection. An open plan kitchen with all kitchen supplies, bathroom with shower (no bath). Separate toilet. Washing machine. 5 small balconies with fantastic views and also a splendid and comfortable roofterrace with amazing views over the old centre. The decoration is overall simple but comfortable, clean and warm with paintings, art-pictures and cultural items from all over the world in it. 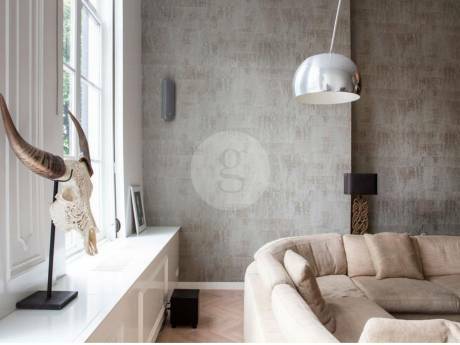 Everything you need for a fantastic stay in Amsterdam. Right in the middle of the centre of Amsterdam. Shops, museums, galleries, bars, clubs, restaurants, canals, house boats, public transport, the palace (dam square), old churches, Rembrandt square, the flee market, the redlight district, the river Amstel, the Rembrandt house..etc, all around the corner, and most of it even seen from the apartment.. The Zoo, Van Gogh, Anne Frank museum also within walking distance. The apartment is in trafic free, and pretty streets. At night really quiet, during the day you can hear the church bells sometimes, for the rest all around the apartment also quiet. You can make lovely walks in and outside the centre, parks etc. Bike rental possible in the street. Guided tours, both walking, cycling, or on boats or buses easy to get around the corner. The famous dutch towns as Marken, Volendam, Edam.. easy to reach by bike (one hour), car, (20 minutes), public transport (30 min). Amsterdam central station max 10 minute walk or 1 min by subway (+1min walk). As it is right in the middle of the old centre, the stay itself is already an experience. I'm a 35 year old woman. I work as a photographer and guide and I'm a non practicing lawyer. I'm a non smoker, have no pets or children. I love nice dinners, making nice walks, cycling, sports, museums, galleries, discovering and enjoying different places in the world and also make beautiful photo shoots when I travel. I lived all around the world for my studies and work, but allways love to go back to Amsterdam. I'm a quiet, clean, social and relaxed person surrounded by lovely friends and family. I would like to swap my house for trips and holidays with (depending on the trip) my boyfriend, sister, or a view friends. When we get in contact about a swap we can see of course what is possible and wanted.